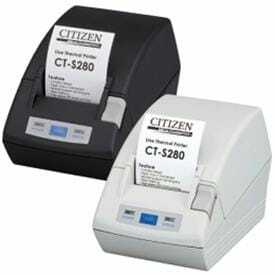 Citizen is a manufacturer of thermal label and barcode printers, dot matrix printers, mini and POS printers, receipt and kiosk mechanism printers, portable printers and a wide range of calculators. With Citizen's unique pedigree in making electro-mechanical devices such as its watches, it was a natural progression for it to enter the printer market more than 30 years ago. 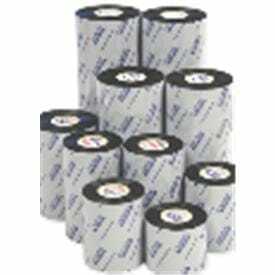 The CLP and CL-S family of direct thermal and thermal transfer label printers is designed to suit various applications including healthcare, manufacturing, warehousing, retail and baggage handling. 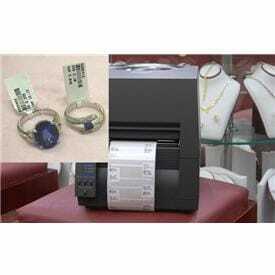 Printers are designed with Hi-LiftTM print head mechanisms for easy media and ribbon loading and ARCPTM ribbon systems for enhanced thermal ribbon handling. 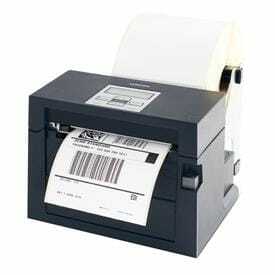 Citizen's barcode label printers support a wide range of industry standard barcodes, with a complement of scaleable and fixed fonts, including international characters. With a variety of options and accessories available, Citizen is the obvious choice for quality, reliability and innovative, easy-to-use barcode labeling systems. Citizen's point-of-sale printers have become the standard in the hospitality markets with clever and innovative designs like Spill-ShieldTM technology. 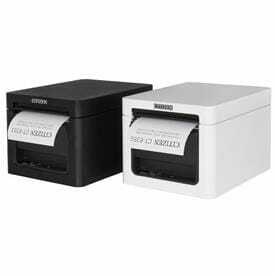 Whether it is a mechanism in a cash register or a separately boxed mini printer, Citizen's POS printers have been leading the market for years. 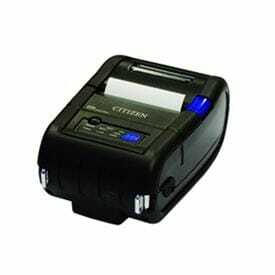 Citizen is a major player in the thermal portable printer market, producing a range of ultra-portable, innovative products. 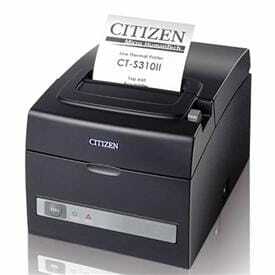 Offering infrared and BluetoothTM interfaces as well as more traditional cable interface options, Citizen has a ruggedised portable printer for all markets. 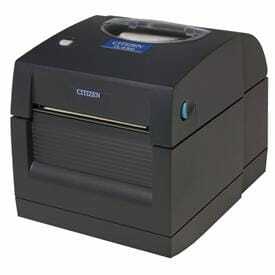 Citizen manufactures an extensive selection of impact printers. In recent years, the requirement for a dot matrix printer has moved from general use to specific multicopy printing in the office and warehouse markets. A key strength of Citizen's printers is the quality of its software drivers for applications such as the Windows environment. This makes the printers not only easy to install and use, but leads to an output quality significantly higher than the norm.